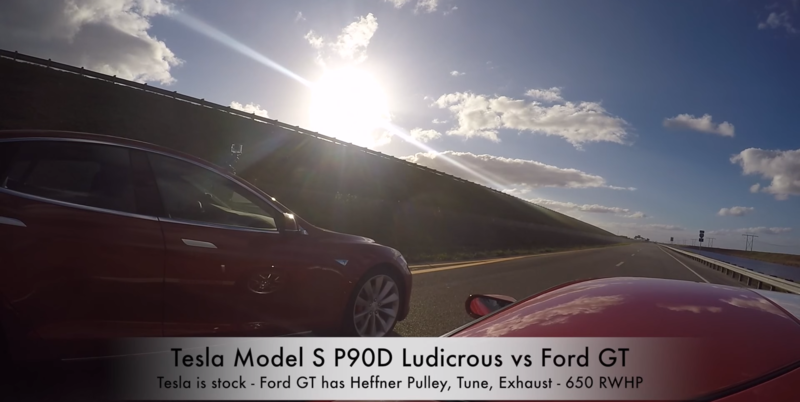 There are plenty of videos out there showing how fast Teslas are at 0-60 and in the quarter mile. In dry conditions, the Model S can beat almost anything off the line – including the Lamborghini Huracan, Challenger Hellcat and just about everything else. The Model X can even beat an Alfa Romeo 4C while towing an Alfa Romeo 4C. But all of those are in the dry – what about in suboptimal conditions? I’m still not tired of watching a large electric SUV eclipsing small luxury sports cars in drag races (though only on short distances) and this latest video from Drag Times makes no exception. 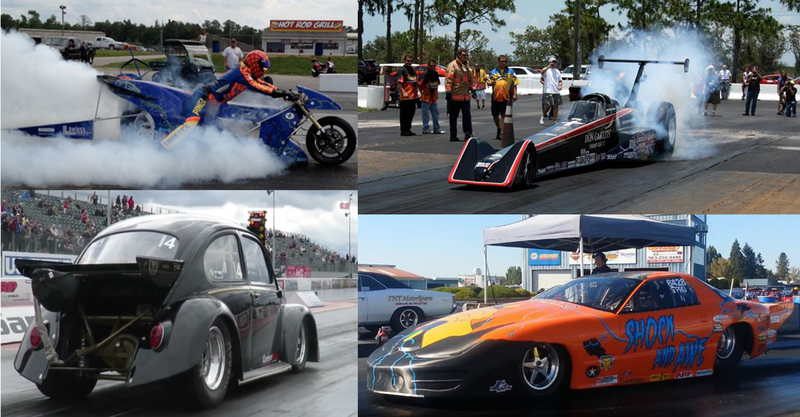 There have been a lot of Tesla Model S/X drag races, some more ridiculous than others. But today’s might take the cake. 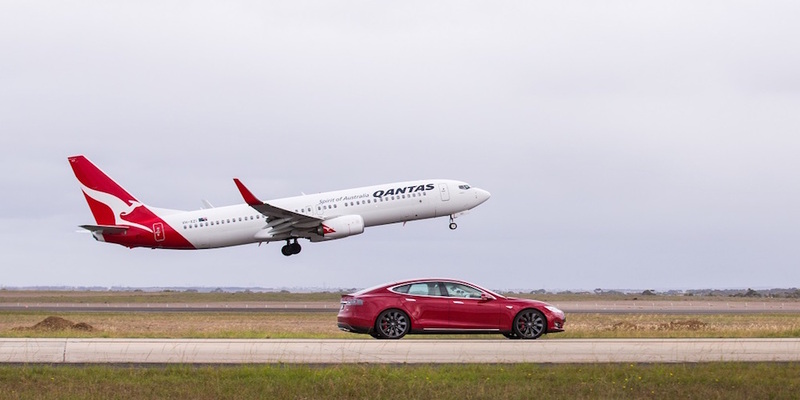 Australian Airline Qantas put their 737-800up against Tesla’s Model S along the three kilometre runway at Avalon Airport southwest of Melbourne, Australia. Nevermind that the Tesla Model S can’t even do 181 mph which is the take off speed of this aircraft. Plane versus car… pilot versus driver. We raced our Boeing 737 against a Tesla Model S to celebrate innovation and sustainability with Tesla Motors. We’ve seen some pretty ridiculous Tesla drag races over the years, more recently a Model S vs a snowmobile, but this one easily takes the first prize. At first glance, it might look like a fair fight, a Alfa Romeo 4C versus a Alfa Romeo 4C, but the second one is actually being towed by a Model X P90D. As Tesla is ramping up production of the Model X, more early reservation holders are taking delivery of their all-electric SUV and a few of them are already taking it to the tracks. 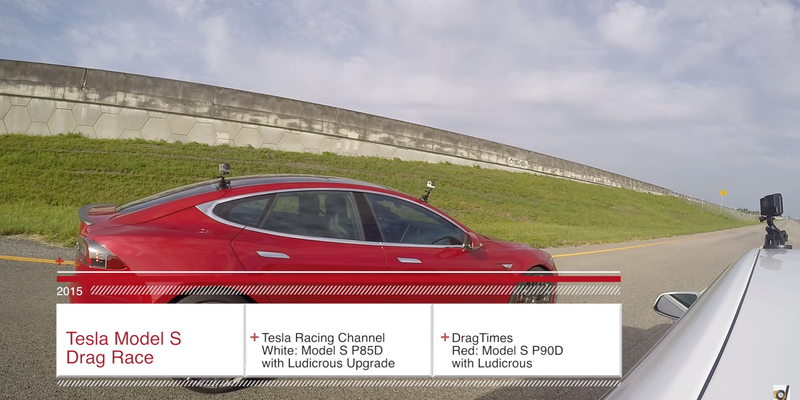 DragTimes took delivery of its Tesla Model S P90D with Ludicrous mode just a few days ago and it already posted its first race. They raced the 5,000 lbs electric sedan against a 3,500 lbs Ford GT supercar.